New York, NY, June 4, 2018 -- Gro Intelligence today announced that Jim Heneghan, formerly a Managing Director at Freepoint Commodities, will join Gro as Senior Vice President of the company’s agribusiness division, reporting directly to CEO Sara Menker. Before joining Gro Intelligence, Jim was a Managing Director of the Agricultural commodity division of Freepoint Commodities in Stamford, Connecticut. Prior to that, he was a Global Business Manager for Agricultural Commodities at BTG Pactual also in Stamford. He began his career working at the multinational grain company Louis Dreyfus for fifteen years. During his time at Louis Dreyfus he worked in a variety of managerial, research, and trading roles in Wilton, CT, Singapore, and Beijing, China. He has also held memberships at the Chicago Board of Trade, the Chicago Mercantile Exchange, and has served on the risk committee of the National Grain and Feed Association. In addition, Jim owns and manages a farmland business in upstate New York – Champion Enterprises of CT, LLC. The business operates 2,300 acres of farmland for the production of corn, soybeans, wheat. Jim has a BA in Economics and a minor in Chinese studies from Trinity College in Hartford, CT. He holds a Master’s Degree in Business Administration from Columbia University in New York City. 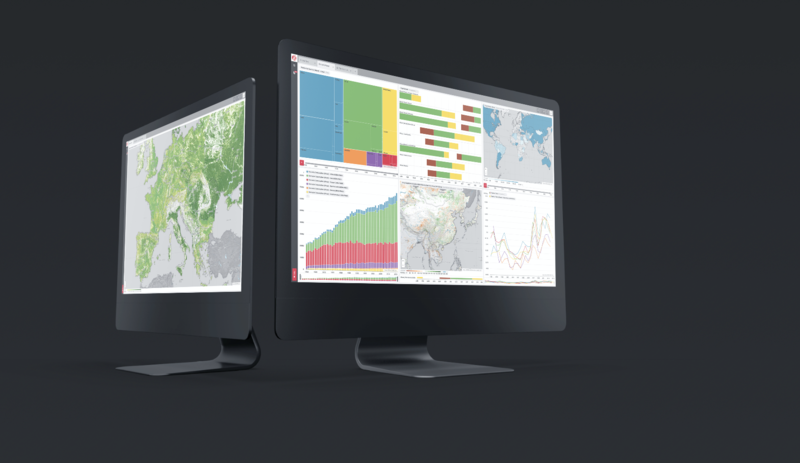 Gro Intelligence is a leading edge software company that automatically harvests disparate agricultural data, transforms it into knowledge, and uses machine learning to allow stakeholders across the agricultural ecosystem to make mission-critical business decisions. With offices in both New York and Nairobi, Gro’s mission is to create a more connected, efficient, and productive global food industry. Learn more at www.gro-intelligence.com.